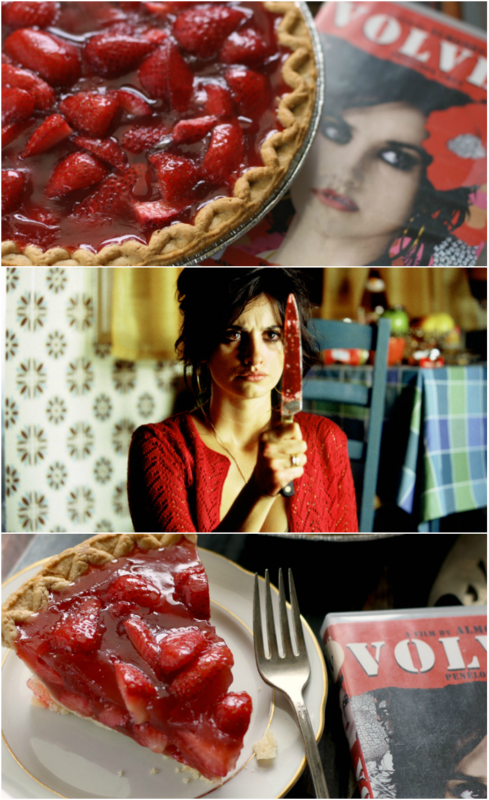 Food, life, secrets, and death permeate the landscape of this month's Food 'n Flix pick, the 2006 Spanish flick, Volver (roughly translated as "to return" in English). The return to an unspoken secret...the return to life. While I did watch it Volver when first came out on dvd, it had been so long that it was like watching it for the first time again. I did remember it as a movie with some good food scenes, but what really struck me this time around was how big of a role the color red played. I don't think there was a single scene where something red wasn't visible. Red. "It's a very expressive colour and in Spain red also represents life, fire, death, blood, passion and carnations — which is the flower-symbol from Spain. "* This was film writer and director Pedro Aldovar's response to an interview question about why there is something red in nearly every frame of his movie, Volver. That, and the fact that red gives a "certain brightness" night scenes, and that red enhances natural colors (such as a red car driving through the countryside). 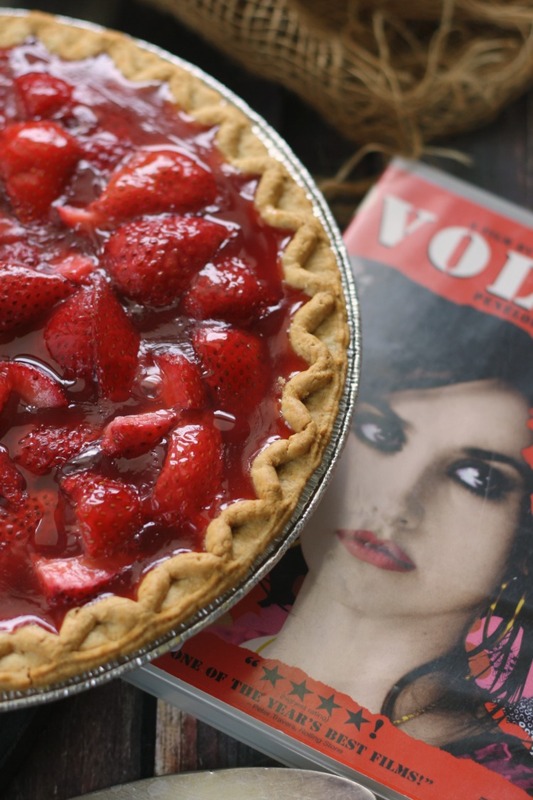 So, while the movie does have some great food prep scenes and made me crave churros, flan, and frosty mojitos, ultimately, the color red was the foundation for my Volver-inspired recipe this month—a simple blood red strawberry pie. This month's edition of Food 'n Flix is being hosted by Evelyne at CulturEatz with her pick, Volver; submissions are due June 28th. Join us next month as we head into the kitchen with our host Chef Sarah Elizabeth with her pick, Dirty Dancing. 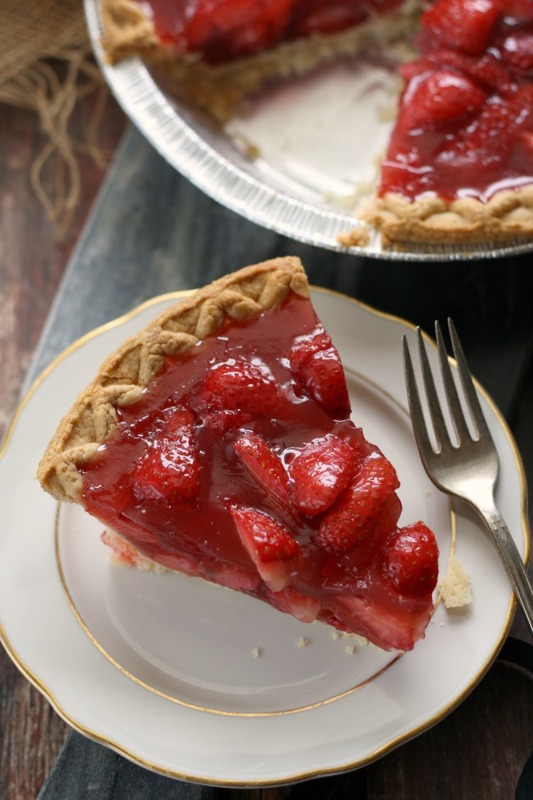 Loaded to the brim with fresh berries, this diner-style strawberry pie recipe is always a crowd pleaser (and it's easy to make)! Whisk water, sugar, and cornstarch together in a medium saucepan and bring to a boil; allow to bubble until thick, 1 1/2 to 2 minutes. Remove from heat and whisk in the package of strawberry gelatin until it is entirely dissolved. Let sit until cooled slightly, ~10 minutes. 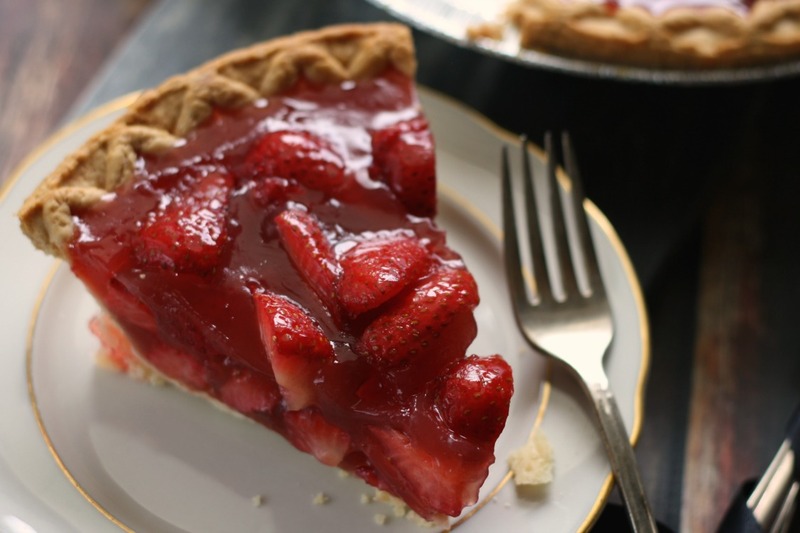 Add the quartered strawberries to the cool crust, distributing them evenly. Pour the slightly cooled gelatin mixture slowly and evenly over the strawberries; it should come right up to the rim. Refrigerate for at least 2 hours, or until set, before slicing. Serve with whipped cream, if you wish. Store pie in fridge (spray plastic wrap with nonstick spray before covering); best when eaten within 36 hours. ©All Roads Lead to the Kitchen. Lightly adapted from Taste of Home.